Back in January, I described our plans to stage a side-by-side sensory analysis of Castillo and Caturra samples grown by participants in our Borderlands Coffee Project in Colombia. Originally, we had planned to do this exercise independently. But as we moved forward in our planning and began talking to more and more friends in coffee about what we were doing, we realized that the study–both the methodology and the results–have broad relevance for the entire coffee sector. We invited World Coffee Research to partner with us to help make the approach more rigorous and the results more robust, and we were delighted when WCR accepted. 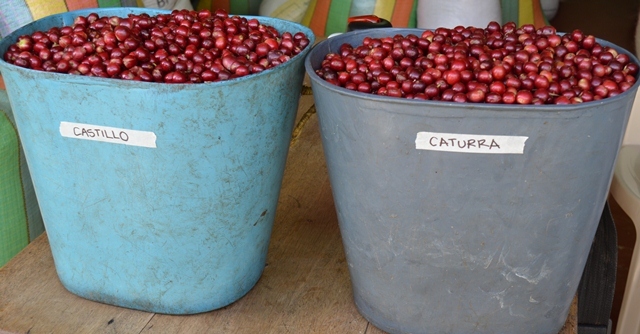 Castillo and Caturra cherry harvested for the Colombia Sensory Trial, a collaboration bewteen CRS and WCR. CRS/Andrés Montenegro. For more information about our partnership with WCR on the Colombia Sensory Trial, read the press release here. 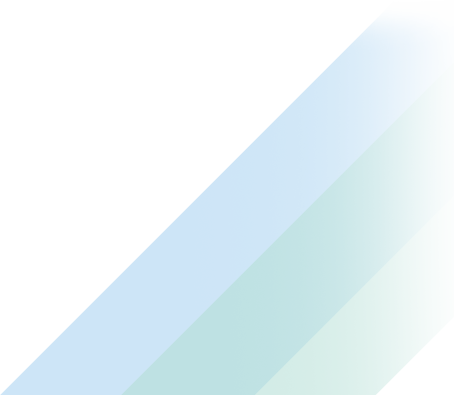 I’m still interested in the Federation angle though. What about asking one of their cuppers to participate? It would broaden the discussion by bringing their criteria into dialog with what the folks you’ve invited invoke. While quality isn’t merely in the mouth of the imbiber neither is it wholly objective. It’s a judgement call and it seems like it would be fair to bring the Federation’s decision making/makers into the conversation. I think that could be unfair to the FNC cupper – a no-win scenario. If s/he rates Castillo consistently high, would it mean a bias? If low, they would get it in the neck from FNC. Even though anonymous, these things leak out? Turns out the FNC is sending someone to participate in the panel–a fantastic development from my perspective. We will do our best to see he doesn’t get it in the neck! Thanks for your comment(s) here. The design is the product of a collborative process involving CRS, CIAT and WCR. We think the independence of the process is an important source of the Trial’s value. The cupping panel is another story, however. The Federation is welcome to join. We are holding a seat at the table for one of its cuppers! Hello and sorry for the long delay in getting back to you. I am happy to report that the Federation is, indeed, sending a cupper to the panels in Chicago. I am delighted by this news and think, as you point out, it is wholly appropriate that the Federation have a seat at the table given how much it and its related institutions (Cenicafé which developed Castillo, the banks that have financed the massive wave of renovation with Castillo, etc.) have invested in this particular hybrid. Thank you for your email and your very fair critique. No U.S. conspiracy here, just evolved this way. As I mentioned in the post, we originally began designing this process for the six members of the Borderlands Coffee Project Advisory Council: Atlas, Counter Culture, Intelligentsia, Keurig Green Mountain, Stumptown and Sustainable Harvest. Four of them opted into the panel, and WCR helped us bring Aleco/Red Fox, Doug/Starbucks and George Howell into the process to round out the panel. (We are, as I mentioned to Chris in response to his comment, holding the 8th and final panel seat for a cupper from Colombia’s Federación Nacional de Cafeteros. We are, however, making smaller flights of sample pairs available to select roasters for lab-based cupping. If Tim Wendelboe wants some, we’ll send him some! Just wanted to give you a little update on the issue you raise here of participation in this cupping process. While the two panels that will form the basis of the Colombia Sensory Trial were already fixed by the time this post was published, we have managed to squeeze two non-U.S. roasters onto the list of lucky companies that will receive a smaller flight of sample pairs from the study. Thanks for the gentle nudge, and stay tuned to the Coffeelands blog for results from these roaster-based cuppings beginning later this year. I’m really looking forward to the results of this study. One query, would it be possible to convert scores to a rough estimation of sale price ($/lb)? We are trying to develop decision tools for farmers, so we need some idea of level of penalty if Catimors are indeed of inferior quality. It would be really interesting to see how this might vary with altitude for instance. Thanks for your comments. Always good to hear from you. Thanks, too, for your excitement about this project. We can hardly wait to get started at the cupping table. You (naturally) raise the most important question. The issue of sale price really more important from our perspective than the cupping scores–it’s the “so, what?” of the cupping scores for the grower. I wrote about this issue at some length here and discussed it again in this interview with Daily Coffee News. A grower won’t be swayed by a clear correlation bewteen genetics and high cupping scores unless she has a ready buyer for that higher-quality coffee that is willing to pay her a good price for it. If not, quality is weighted less in the decision-making process, and productivity, resistance, density, etc. are weighted more. So, agreed on the importance of price. As far as estimating sale prices, I think the exercise is manageable. In my mind, the baseline price is probably a weighted average of three price points on the day we collect the dried parchment from the farm: the Colombia internal price, the price being paid by Carcafé for Starbucks C.A.F.E. Practices verified coffee and the price the Federation is paying for Nespresso AAA coffee. Almost all Nariño’s coffee is sold at one of these three price points, so an average in which each data point is weighted according to the approximate market share of each should reflect a reasonable estimate of the value of the “losing” coffee from the sensory trial. This would be a factor that would feed cleanly into the decision-support process you mentioned. Weighing the “Caturra quality premium” with a clear understanding of the “Caturra productivity penalty” we could provide some interesting feedback to growers on expected ROI for the variety. Then there is that pesky question of the market. As a kid, I used to collect baseball cards. I bought a price guide to track the performance of my investments. Once when I got excited to see how much one of my prized cards was “worth,” my Dad wisely explained that something is only worth what someone else is willing to pay for it. In other words, the Caturra quality premium is just a number on a piece of paper until a grower finds a buyer willing to pay her that much. PS: You ask about elevation. We have stratified the farms into three elevation tiers:<1650 m (low elevation in Nariño), 1650-2100 m and >2100 m precisely in the hope of better understanding the interaction between genetics and elevation. I know I responded to this question already (and wrote about it at some length here), but as I reflect on it further there is a problem with the exercise of “estimated prices.” I know we could go around the table at the panel and get roasters to tell us what they would generally pay for a particular coffee based on its quality tier, A, AA, AAA, microlot, etc. The question isn’t WHAT IS THE COFFEE WORTH, but WHAT CAN THE GROWER REALISTICALLY EARN for that coffee. The truth is that in Nariño today there are MANY growers capable of growing AAA-grade coffees that would–in theory–qualify for quality premiums from the kinds of buyers willing to pay them. There are significantly fewer, however, who have any way to get their coffees to buyers like that. We will keep this present in our analysis as we review the results and draft the final report early next year.